When teeth are heavily filled or badly decayed they may be too weak to survive with just a filling. 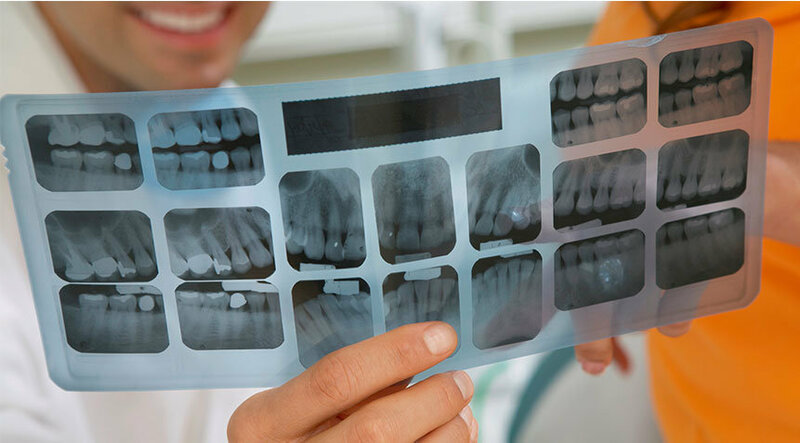 Root canals, lost fillings, decay, chipping and cracking of the enamel are all things that can lead to structural problems in a tooth’s surface. A properly placed crown with the right choice of material will provide strength, durability and tooth stability, which will save your tooth for many years. Crowns are typically used to restore teeth, but are also used for cosmetic dentistry to improve the appearance of your natural teeth and to brighten your smile. They can also be used to strengthen a root treated tooth. When crowns are used to replace a missing tooth, it is known as a bridge. These crowns are anchored to the teeth on either side of the space, with a bridge section connecting the two crowns. Advancements in materials and technology make porcelain bridges incredibly strong and durable. Our porcelain bridges are fabricated by our specialist dental technicians to match the colour and shape of your natural teeth. How long will it take to create a crown or bridge? Crown placement typically occurs in two to three separate appointments. During these appointments, we'll prepare your tooth, take photos and impressions. We always place a temporary crown on the prepared tooth. Once your crown is ready, usually within a week or two, you can return to our practice and we'll cement the crown securely in place. How long do crowns or bridges last? On average, crowns and bridges should last 7-15 years. By brushing and flossing your teeth regularly, with special attention given to the area where the crown joins your tooth and underneath a bridge, you can help prevent gum disease or dental decay that can affect the teeth. Any trauma can also damage restorations in the same way it damages natural teeth. How good a bridge or crown is, depends on a good dentist, a good technical lab and the right choice of materials. At Smiles Unlimited we have a combination of all three of factors, which results in our high success rate.